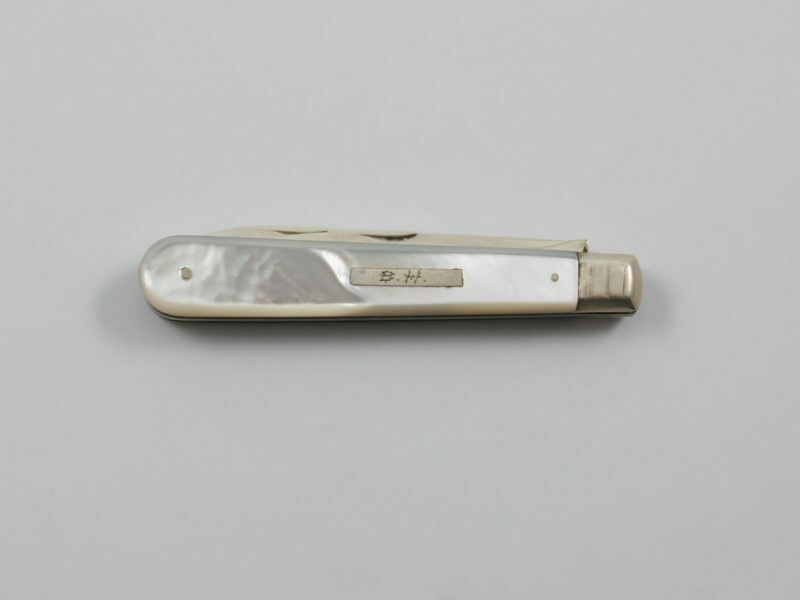 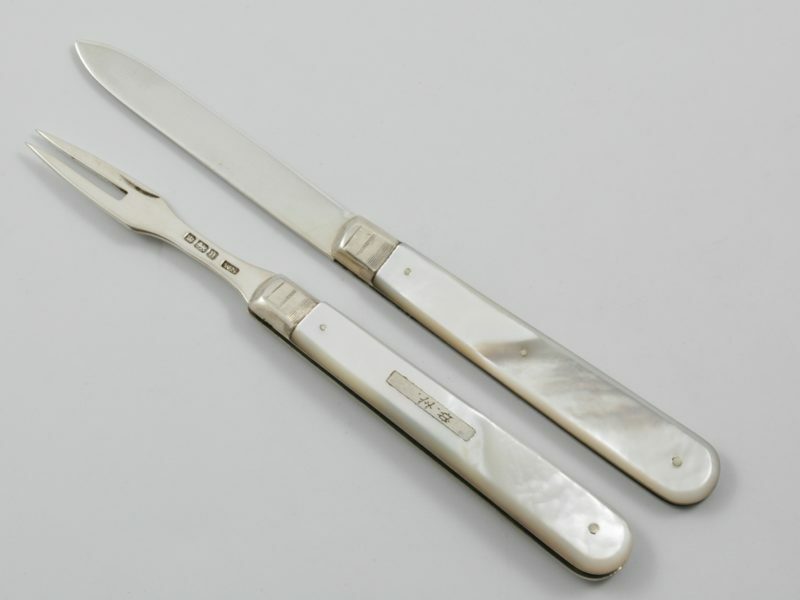 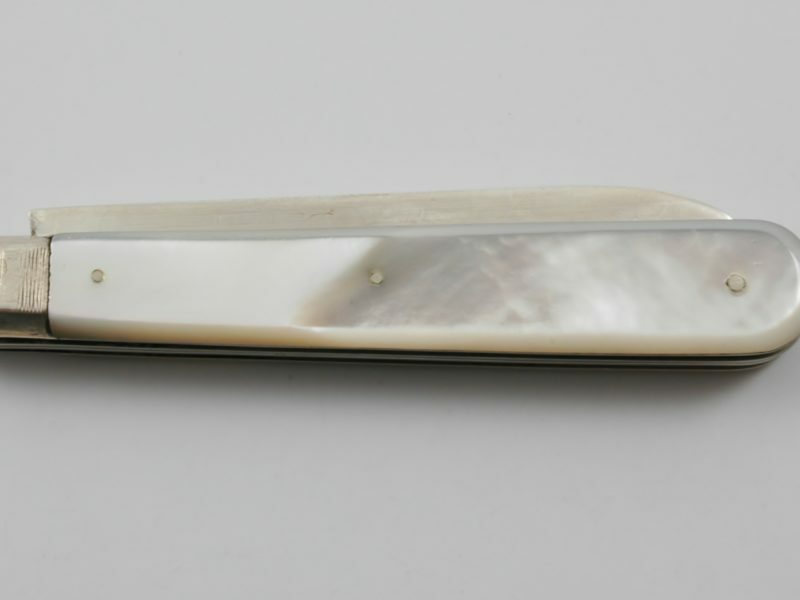 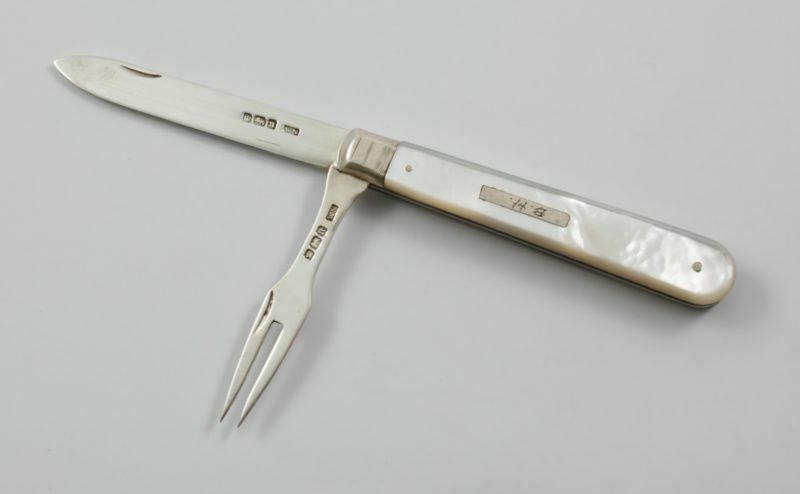 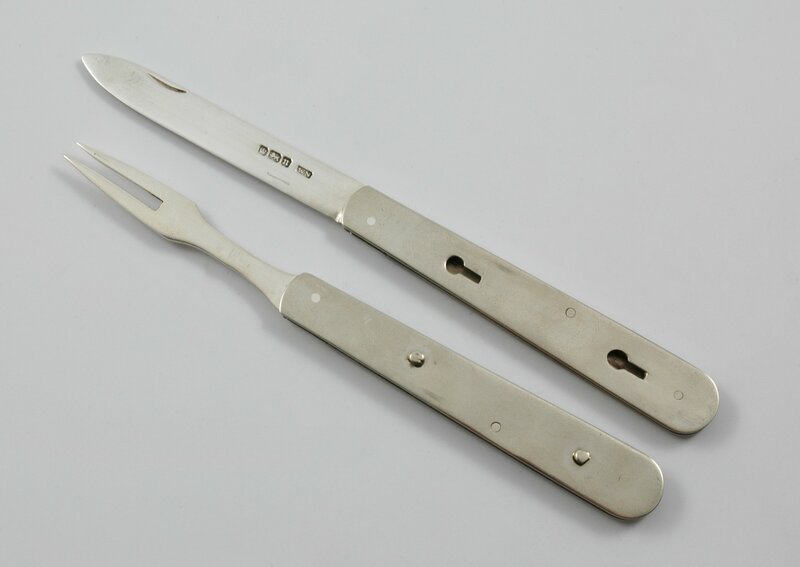 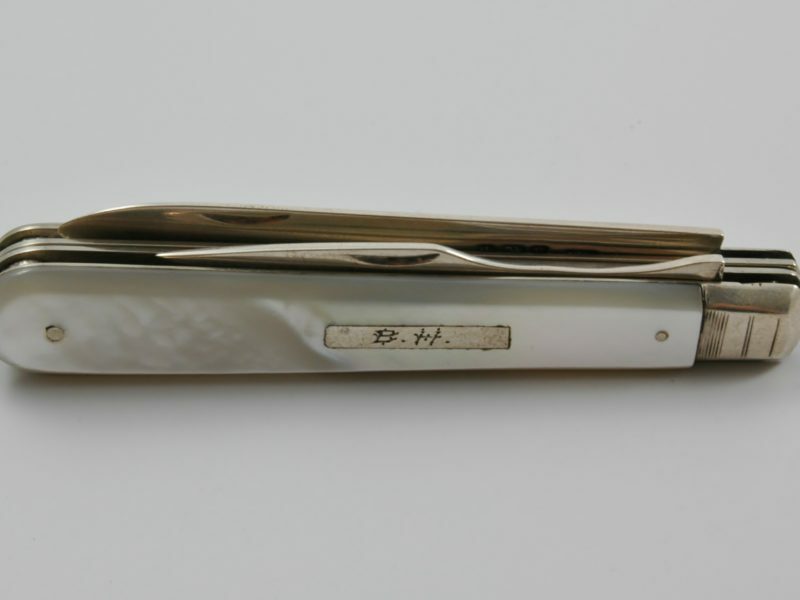 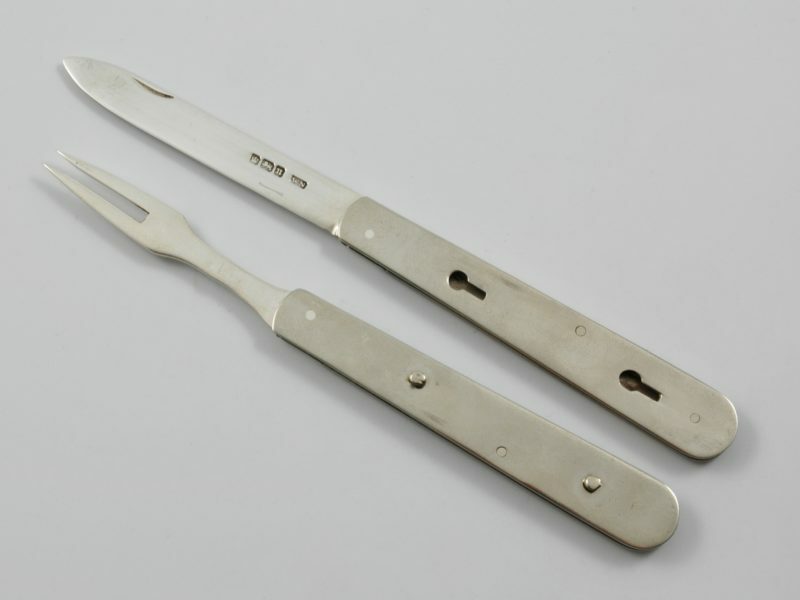 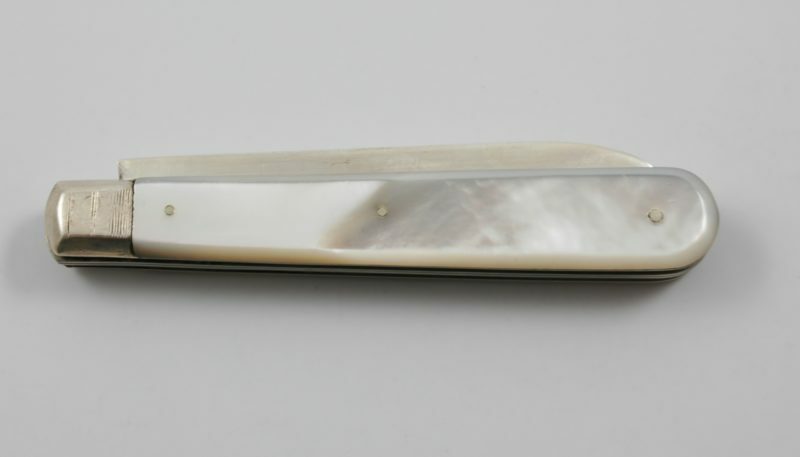 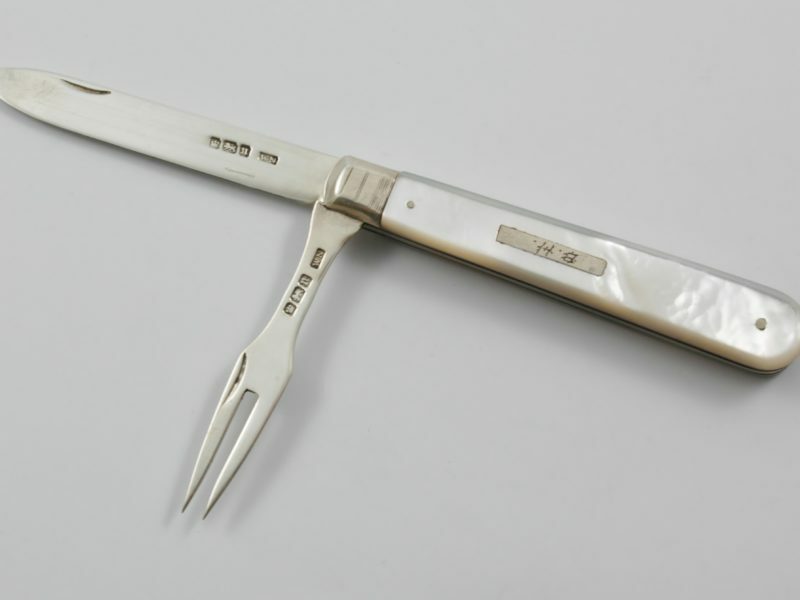 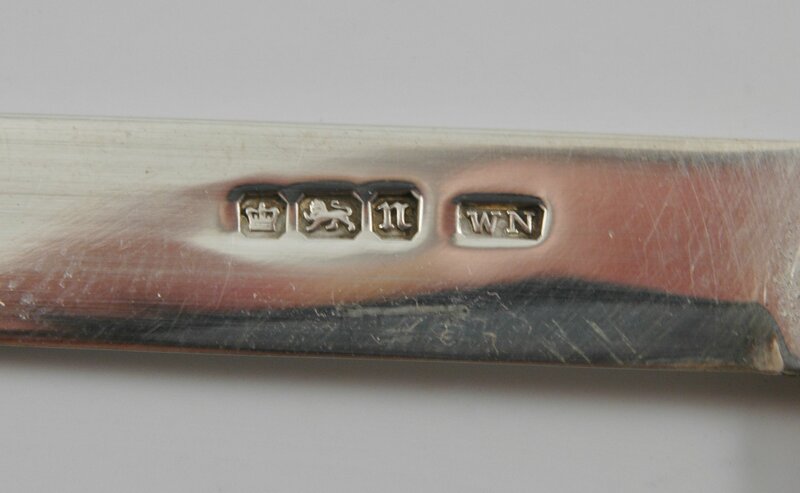 Silver and Mother of Pearl fruit knife and fork marked for Sheffield 1905 by William Neale & Son- comes apart. Dimensions: 8.3 cm long by 1.2 cm wide by 1.1 cm deep. 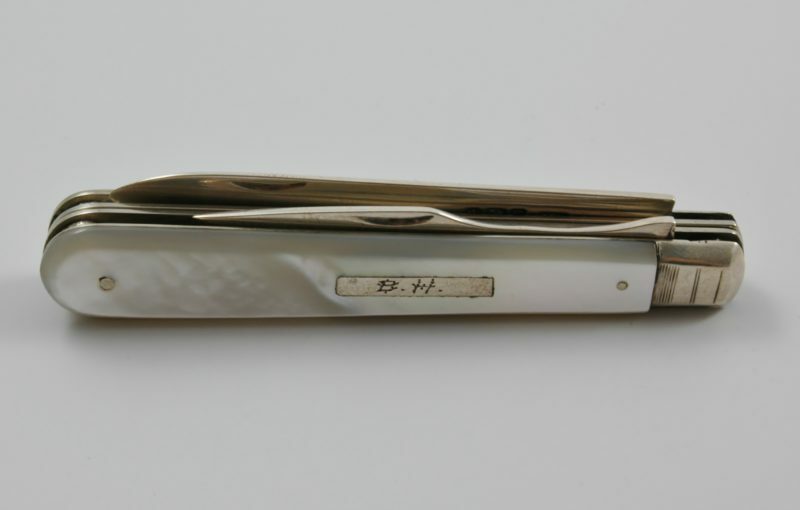 Knife: 14.9 cm long when open. 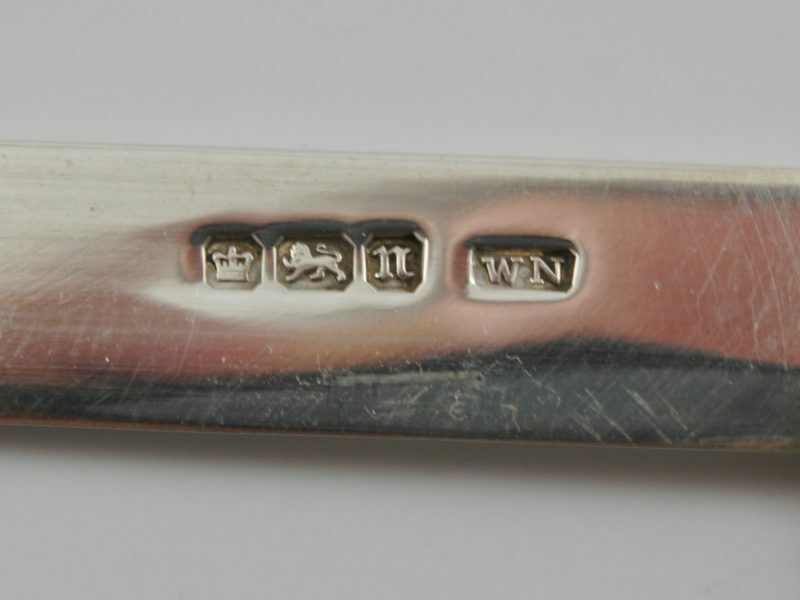 Fork: 13.9 cm when open.